It's been a busy start to the year with another 3 new members joining Tpas - this now takes our membership to 213 Landlords covering over 2.4million homes! We are proud to be able to offer support and guidance to the staff and tenants from these organisations. Here's why they decided to join! Milton Keynes Council is re-establishing its resident engagement team and developing a new resident engagement framework. We hope that Tpas will help us in a number of ways, including the offer of training programmes for the new team, development opportunities for our tenants and residents associations and the ability to network with other teams across the region and learn from the good practice that we know is out there. 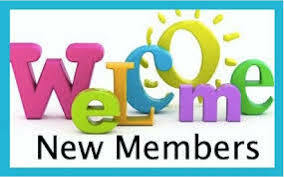 We very much look forward to being part of Tpas and building links with other members. We at West Lancashire Borough Council were previous members and we were really keen to re-join Tpas as we really value all the different training opportunities and events, especially the regional events. We also find the 'Resource Hub' a beneficial resource to gain insight and information when planning our engagement and involvement activities, adding to our aim of being a more conversational organisation. Please get in touch if you'd like to join Tpas.